I love exploring math through a wide variety of activities. 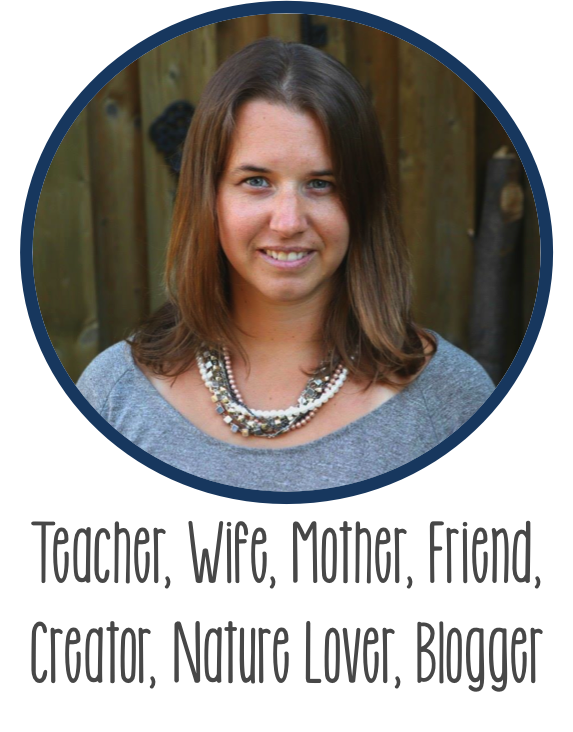 Here is a sampling of many activities I have done throughout the years and a collection of other ideas from teachers I work with. Feel free to add any additional activities in the comments below! Play a simple game where one shape is missing and hiding in the classroom. Can the children find it? Give students a sticker with a picture of a shape to wear for the day. That is their new name for the day! Pair students together. One student has a label of a shape on their back and they can ask yes or no questions about the shape in order to guess what shape it is! One student picks a shape from a bag. Using their senses, they can either describe the shape with what they know about it or the other students can ask them questions to try to guess what figure it is! In this whole group game, you need enough figures so each child and yourself has one and place them in the center of the carpet. The teacher goes and takes one first and then the students do. The teacher is the "fantastic figure" and students answer questions you pose for them. For instance, you may ask them, "How is your figure the same/different than mine?" What 3D figures can you make using building straws? Can you put multiple together to make something new? Create a chart with students, looking and documenting the different attributes. This can be done as a whole group, small group or left out as a provocation to see who is interested. Students bring in empty, used containers from home to create a grocery store using a variety of 3D figures. Put a 3D figure into a bag. Play music and pass the bag around. When the music stops, students name the shape or some attributes of the shape. We have a bird puppet who hides 3D figures under a blanket. We sing the following poem as the bird goes under the blanket to hide a 3D figure on the children. "A magpie came down my chimney one day. I wonder what he has taken away?" After the poem is sung, the children have a chance to guess which object is missing! Add multiple shapes of different colours or sizes to change up the difficulty! We often have students who can easily figure out which shape is missing from a selection of 15 objects presented to them! Look around the school with your classroom iPad and take pictures of objects around your school made up with different shapes. You can compare manmade vs nature outside. 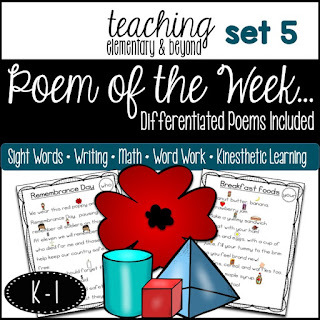 Print these images afterward and have a sorting activity with the images! You could even create a book with the images the students found. Trace the faces of the shapes onto a large sheet of paper. Have students match the face to all the figures they can find! 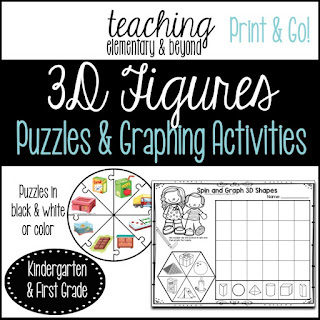 Explore 3D figures by stamping, comparing sizes, shapes and see if the students extend this activity into patterning! 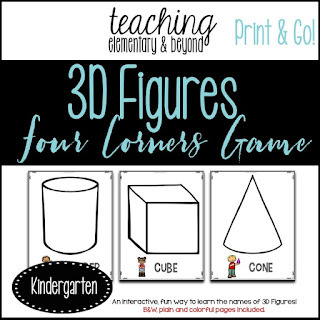 Have 3D figures provided for students to see if they can copy them with play dough or to see if they can make a mold of it! Can you make a tower, bridge or a castle using the 3D shapes? Have students bring 3D objects of beautiful junk from home and make a community together with these items! Challenge students about how many community helper locations they can create. Use recycled objects to build a community (cereal boxes, tin cans etc). See if you can get an aerial photo of your community and see if students can replicate it! Use recycled objects to build a robot. Host an art gallery when parents come to the classroom to show off their work. Share with learning buddies! Students can bring in a mystery item from home and the other students need to guess what the item is based upon simple questions about the shapes. For example, does it roll? Does it slide? Does it have six faces? Add these to a provocation to see which shape the children can make on their own. Make 3D figures using toothpicks and small marshmallows. These can topple easily so I often take pictures of what the kids have created and then let them eat it afterward! Cut up fresh fruit to make shapes. Let students be creative using fruit like bananas, apples, and grapes! 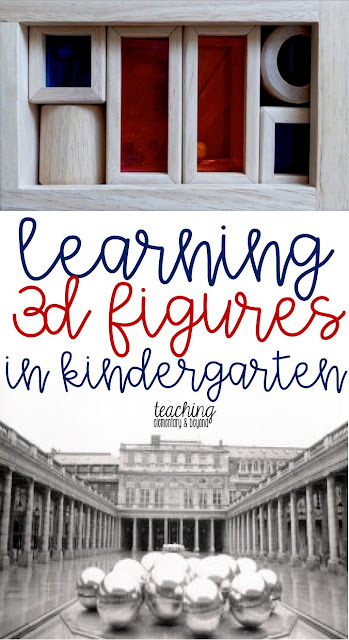 Make 3D figures with plasticine and straws! Use sugar cubes and glue to build a structure! It usually takes overnight to dry properly. Make sure they are glued onto a piece of paper with each child's name so they don't get mixed up the next day! Print out a variety of different photographs of various objects and buildings. Ask students what they see. Do you see 2D shapes or 3D figures? Which ones do you see? Have students test the various 3D figures provided on the table. Can the stack? Roll? Slide? Use a clipboard and a checklist to record answers or have students sort by what they are testing for. Ramp Building - Does It Roll? Provide an opportunity for students to create a variety of ramps, with a variety of lengths and angles, to test the shapes. If you have access to an overhead projector, place a 3D figure on it and have students predict which figure it is only knowing the shadow! After learning the shapes for a long time, host a special 3D shape day for each shape you have learned! Students can bring something from home for each "special" day. For instance, on the sphere day students may bring in a ball, globe or marble! Then sort and compare objects. Teacher: "*Name,* this is a cube!" Student one: "Oh! A cube!" Student one: "*Name,* this is a cube!" Student two to student one: "A what?" Student one to the teacher: "A what?" Student two: "Oh, a cube!" Continue around the circle until everyone is participating in the round. The teacher can vary their voice each time and students copy. It can be a lot of fun! Provide a station for two students with a divider in the middle. Each child needs the same shapes. One student creates a picture/structure with their figure and then they instruct the second child how to build it. See if they can use the correct names or have them describe the shapes without showing the figures and only using verbal directions! 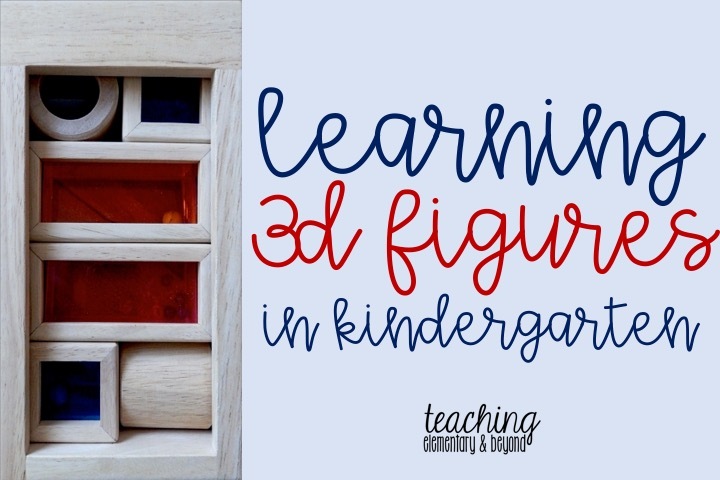 Explore 3D figures with building blocks or as a small building provocation. What can you build? Use old recyclables or random objects to build and create in the snow (e.g., yogurt containers, apple sauce containers, funnels etc.). 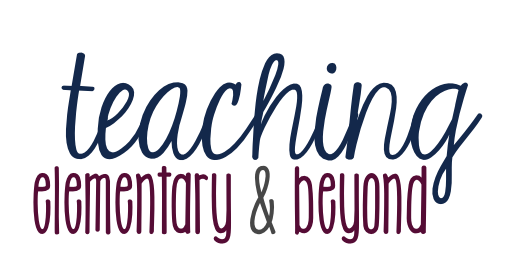 go to my blog post of online videos to use in your classroom!